We have all been guilty of procrastinating from time to time. Sometimes it’s just hard to get motivated. But how you use your time procrastinating is what’s important. Imgur user SeeMyAmbitionsFadeOut knows how to procrastinate while still getting something cool done. 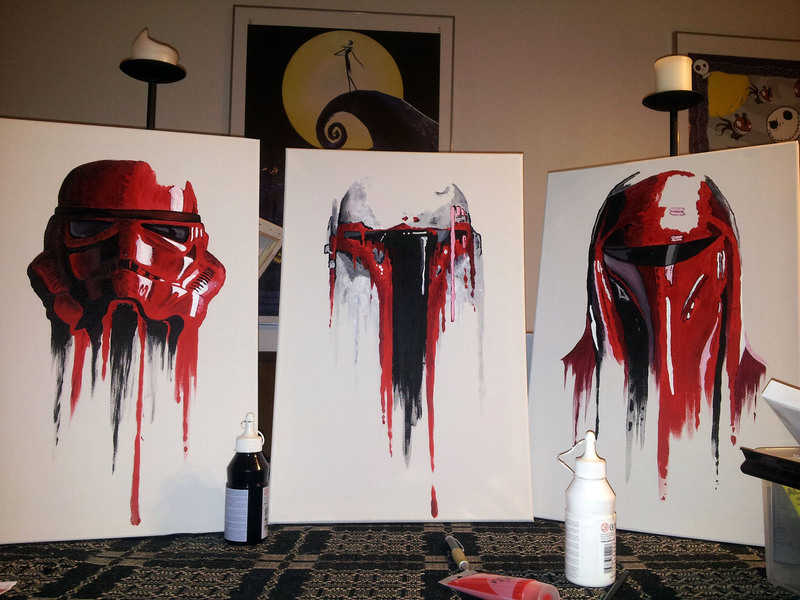 He created this series of Star Wars paintings when he/she should have been studying for a test. That’s why it is called “Procrastination In Red”. Folks, THIS is how you procrastinate. If we all did it like this we would get a lot done. They are really great pieces of art. I would hang them on my wall. This has blown way out of proportion. First: Thank you all for the kind comments and questions about commissions and prints. To be honest, I'm a bit chocked by the publicity since this was something I painted for fun. Selling or taking commissions haven't crossed my mind so I have to think about this. I also live in Sweden, which makes shipping a bit tricky. Second: For not to be killed by hybris, I have to collect my thoughts before deciding anything crazy. I promise to give a hint if and when prints or Etsy or more paintings will be available."